Hamas leader Khaled Mashaal conducted secret communications with former PM Ehud Olmert, offered Shalit for a few terrorists. Hamas leader Khaled Mashaal conducted secret communications with former Prime Minister Ehud Olmert in 2006, and suggested ending the conflict between Israel and Hamas and releasing kidnapped soldier Gilad Shalit in exchange for dozens of terrorist prisoners, it was revealed on Wednesday by Channel 10 News. According to the report, Olmert refused an offer which included the release of Shalit in exchange for the several dozen terrorist prisoners, and did not consult with any of his ministers on the matter. The report also said that the secret negotiations with Mashaal were held by former Shin Bet chief Yuval Diskin, through a contact from a Western country and two Israeli agents. 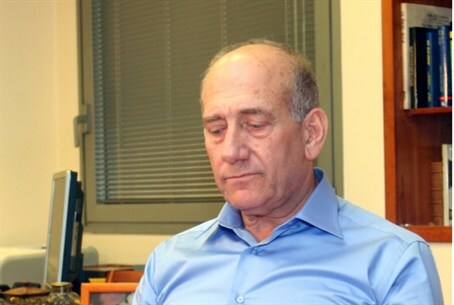 Olmert reportedly never shared the information on his communication channel with Hamas with anyone, including ministers, cabinet members, the Chief of Staff or the head of intelligence. Channel 10 also reported that prior to Shalit’s kidnapping, Mashaal expressed interest in normalizing ties with Israel and this was to be discussed with Olmert through the mediators. Shalit’s kidnapping brought a stop to these discussions, the report said, adding that in the first 24 hours after the kidnapping the contacts offered Mashaal to release a small number of prisoners on humanitarian grounds in exchange for Shalit's release. Mashaal reportedly agreed, but also sought an Israeli promise to continue the strategic dialogue. Olmert closed the door to any agreement when he publicly announced that Israel will not negotiate with terrorists. Shalit was released last October in a deal reached by the Netanyahu government. Israel agreed to release 1,026 terrorists in exchange for Shalit. Diskin, who reportedly represented Olmert in the talks with Mashaal, came under fire this week after he mounted a frontal attack on Prime Minister Binyamin Netanyahu and Defense Minister Ehud Barak, calling them "messianic." The remarks were met with criticism by coalition ministers and Knesset members. In one criticism of Diskin, Minister Shalom Simchon (Independence) said that Diskin had shown poor judgment that caused Shalit to sit in jail for years, and forced Israel to pay a high price for his release.